Product prices and availability are accurate as of 2019-04-15 06:34:38 BST and are subject to change. Any price and availability information displayed on http://www.amazon.co.uk/ at the time of purchase will apply to the purchase of this product. 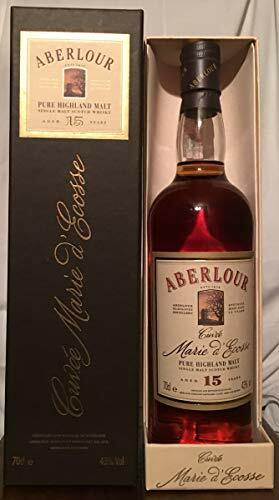 This 15 year old Aberlour bottling is exclusive to France, where it is one of the best-selling individual malts. Called Marie d 'Ecosse, Queen of Scots, it is soft, fruity and creamy. Alcohol content: 43% vol. Bottle in excellent condition.